It was revealed today by New Line Cinema that following a last minute decision to alter the end of the final “Lord of the Rings” film this January they had no money left to spend on the high quality production seen in the last two films. 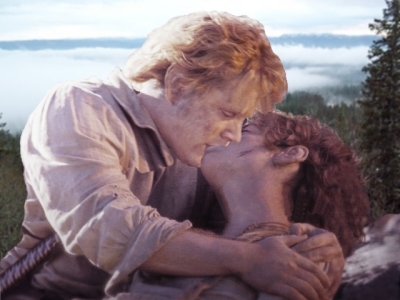 Fans of Tolkien's "Lord of the Rings" were shocked by the changes to the film's finale. The decision has not proved to be as popular as the studio had hoped. Being the first news source to report on this development back in January, Random Perspective has received a vast array of complaints and comments regarding the film company’s decision, mostly from loyal Lord of the Rings fans determined not to see Tolkien’s vision damaged by Hollywood in any way whatsoever. The decision has had a significant impact on the rest of the film; instead of the high budget special effects that followers of the films have got used to experiencing New Line Cinema was forced to return to some of the more primitive special effects seen during films from the 1930s and in the Animated Lord of the Rings. “Unfortunately Golem has transformed from the revolutionary CGI character seen in the Two Towers to a rather basic papier-mâché hand puppet,” the spokesperson from New Line explained, “Whilst it does not allow us the freedom we experienced with CGI it does allow us the chance to win the Oscar for ‘Best Glove Puppet’ although that’s probably unlikely as the puppet is really quite rubbish. “Also, the large battles that people have anticipated for the final film have had to be cut. Instead, the fate of middle earth is decided by the toss of a coin in an old abandoned dungeon that looks suspiciously like an unmade film set.